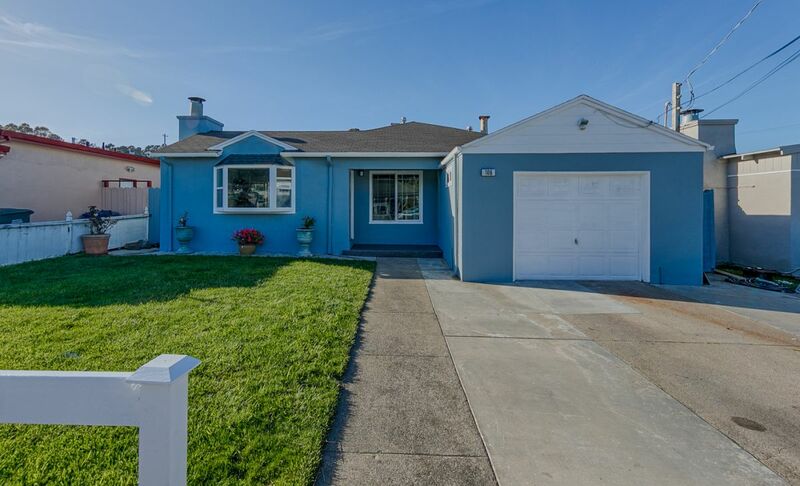 Beautiful single family home in Winston Manor neighborhood of South San Francisco. This single story home is cozy and bright with many updated features. Remodeled kitchen with granite counters, white cabinets, gas stove and stainless steel appliances. Remodeled bathroom with new tile flooring, vanity, tub and shower surround. New laminate wood flooring and LED light fixtures. Fresh new paint inside and out. Spacious living room with fireplace. Step outside, there is a large deck, patios, area for BBQ and firepit. Great for entertaining and family fun. There are many fruit trees and garden area with a large storage shed. The side yard area is spacious great for storage. 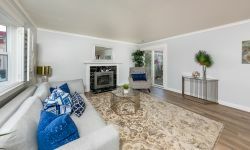 Convenient location close to freeways, BART, Airport, Kaiser, Costco, shopping, Serramonte and 11 miles to downtown San Francisco.